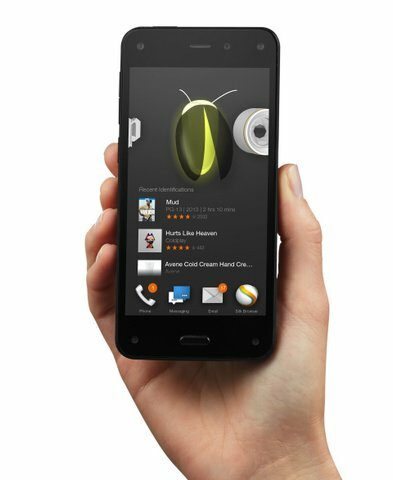 Unveiled today in Seattle, the Amazon.com Inc. (Nasdaq: AMZN) Fire Phone is everything the rumors promised and more, but there was one surprise – the price. Instead of offering the Amazon Fire Phone at a nominal $99, or even giving it away with an Amazon Prime subscription, the online retail giant is charging $199 for its 32-gigabyte model and $299 for its 64-GB model. And those are the subsidized prices, available only with a two-year contract with AT&T (NYSE: T), the exclusive carrier of the Amazon Fire Phone. AMZN is also selling the Fire Phone at unsubsidized prices: $649 and $749. That's getting into Apple Inc. (Nasdaq: AAPL) iPhone territory, although those prices are $100 less than the comparable models of the top-of-the-line iPhone 5S. Samsung Electronics' (OTCMKTS: SSNLF) flagship, the new Galaxy S5, is about the same price as the Fire. So Amazon Chief Executive Officer Jeff Bezos is betting that the Fire Phone will be able to capture a slice of the high-end smartphone market by competing on features, not price, as everyone expected. He might be right – the Amazon Fire Phone has a clever 3D display that lets users view objects from different angles by tracking the user's eye movements. The Fire Phone also has a feature called Firefly, which uses the phone's 13-megapixel camera to recognize books, phone numbers, bar codes, website addresses, QR codes, and more. It uses the phone's microphone to recognize songs. And of course, anything the Amazon Fire Phone recognizes that also happens to be for sale on Amazon.com can be purchased with just a touch of a button. AMZN has also thrown in the clever Mayday feature, which is also available on the Kindle Fire tablet. Mayday is 24/7 tech support with a twist – a customer support person appears on the screen and talks you through your problem live, even taking control of the device remotely if needed. But the question is, will all that be enough to lure people away from the Galaxy S5, with its larger, crisper display, or the iPhone 5S, with its fingerprint recognition and soon-to-arrive apps for monitoring health and controlling the home?